Hazrat Chaudhry Sahibra was a companion of the Promised Messiahas, member of the Viceroy’s Executive Council, judge of the Federal Court of India, president of the International Court of Justice, Pakistan’s first foreign minister, Pakistan’s representative to the UNO General Assembly and a devout servant of the Ahmadiyya Jamaat in Islam. Simplicity, informality and contentment were the hallmarks of Hazrat Chaudhry Sahib’sra life. His attire used to be decent, clean and dignified. He looked after his clothes and made them last a long time while still looking nice. He never felt embarrassed to tell us how old his suits were. On the contrary, he would eagerly and confidently mention that he purchased a suit or a pair of socks in such and such year from such and such shop for such and such price. I remember that he once told me that the shirt that he was wearing was bought by him for one dollar so many years ago from a shop situated on a road in New York. In short, it was well known that Chaudhry Sahibra used to make his outfits last for a long period. Once, on Eid day, Hazrat Chaudhry Sahibra gifted this humble one a woollen scarf. He specifically mentioned that the scarf was not old and that he had only worn it once on the day when he presided over the session of General Assembly of the United Nations. I received that memorable gift most thankfully. His style of discourse was marvellous, which proved to be very effective and informative during Jamaat meetings. His opinions would be robust, to the point, relevant and in accordance with the situation. During his conversations, he would talk repeatedly on this subject of gratitude in a moving and inspirational way. I personally observed that he always mentioned the gratitude for the blessings of God in a tender and touching manner and tears would well up in his eyes out of gratefulness. I can say that gratitude was his favourite topic. Accordingly, he titled his autobiography, Tehdis-e-Nemat (Recollection of Divine Favours), a most appropriate name according to his personality. A specific feature of the book is that when narrating stories of his life, he never forgot to mention and thank anyone who had done him any favour and prayed for them. Along with gratitude for Allah, expressing the same for Allah’s servants was an integral part of this grateful man. Chaudhry Sahibra was extremely dedicated and committed to supplication. Prayers and worship were an essential part of his being. He used to make a very diligent effort for offering Salat. He was very watchful to ensure that he offered his Salat on the exact, prescribed times. Whenever he visited London from Holland, he would enquire about Salat times without fail. He prayed diligently, virtuously, attentively and always at the earliest possible time. During the prayers, he preferred the recitation of a person who demonstrated a clear understanding of the subject matter and took pauses appropriately. After arriving in the mosque, he spent his time in praising and remembering Allah. He would listen carefully and register, in his memory, the names and needs of those who requested prayers of him, and there were surely hundreds of them. He once told me that he had prepared in his mind a list of such people in a particular order and grouped them together according to their needs. In this way he remembered all the names and supplicated for each one of them regularly. Sometimes that led to amusing incidents. He was very regular in morning walks. He devoted all that time to the remembrance of Allah and supplications, for which he had formulated a map and a sequence in his mind. He told me on several occasions that by the time he reached a spot or turning during the walk, he had recited Durood so many times or supplicated in particular words so many times. If it was raining after Fajr, he would walk around in the Mahmood Hall for the same duration as his daily walk. Thus, by completing the specified number of supplications and tasbeeh [remembering Allah] he could also guess the distance he had covered. Along with his unlimited scholarly capabilities, Allah the Exalted had blessed him with a remarkable memory. I never saw him with a diary. He used to save his engagements and appointments in his mind and never had any problem with that. He knew the phone numbers of his friends and contacts by heart. During his stay in London, he used to come to my office by about 10 or 11 o’clock very often and asked me to dial a phone number for such and such person. As I went for the directory, he would say that he would tell me the number off-hand. That happened every time he came. To my amazement, he told me that when in Britain, the telephone numbers of British friends were highlighted in his mind and when in America, the American numbers were highlighted and the British numbers faded away. Another amazing thing of the kind was that he could tell the days of different dates of the year off-hand. We look at the calendar to plan any event, but Chaudhry Sahibra would calculate and tell the day immediately. 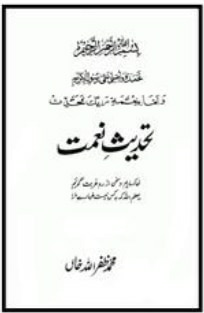 Hazrat Chaudhry Sahibra wrote his life history in detail titled Tehdis-e-Nemat (Recollection of Divine Favours) himself. The book is a treasure house of information. It is a comprehensive book comprising of Jamaati history, as well as political, national and international affairs. It is said that Chaudhry Sahibra wrote or dictated the entirety of this book, or most of it, from memory. Once the book was completed, he had the proofreading done by a friend to doublecheck the references, dates and other details. Corrections were probably not required. Hazrat Chaudhry Sahib ra was an extremely punctual person. He was ever mindful of this in his daily routine and urged others to do the same. In fact, he trained them practically. Once, he started a Talim-ul-Quran (study of the Quran) class in London that was attended by young students. The time for the class was fixed and he made it clear to them that the time would be adhered to. He used to come a few minutes before the class and shut the door at the fixed time. Late-comers were not allowed in. Consequently, all the students became punctual in a couple of days. 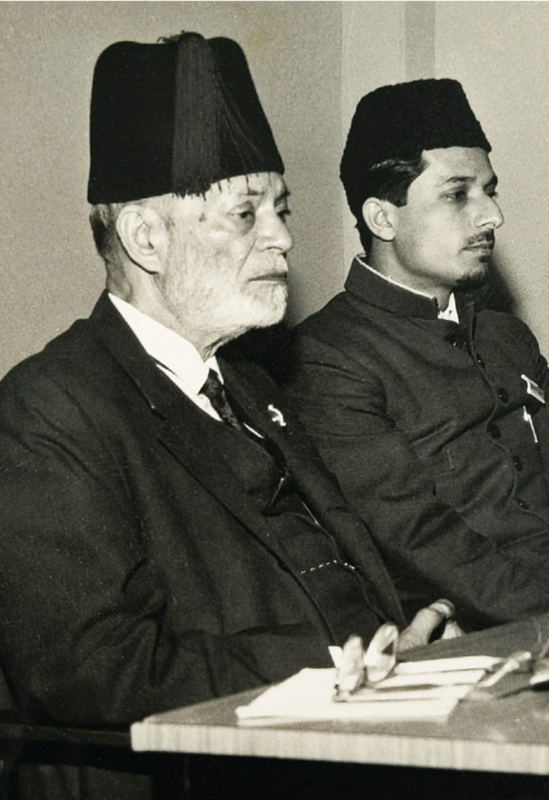 When Hazrat Chaudhry Sahibra was appointed the president of the General Assembly, he maintained his tradition of starting the proceedings on time. Thus, he gave a practical lesson of punctuality to the members of the assembly who were usually casual about time-keeping. In the context of punctuality, an interesting incident comes to my mind. A friend narrated to me that once, students or Khuddam in Karachi requested Hazrat Chaudhry Sahibra to speak on the qualities of a good speaker. He mentioned many qualities in detail. The last thing he mentioned was that a good speaker must be well-aware of the end of the time allocated for his speech. Having said that, he sat down on the chair. The audience noticed the allocated time for his speech had just ended. During his stay in London, it was his routine to offer his prayers in the mosque. We had an arrangement between the two of us that I would press the doorbell of his flat when going to the mosque for prayers to remind him during his engagements that it was time for prayer. After performing ablution and offering the Sunnah or nafl [voluntary] prayers, he would make it to the Fazl Mosque usually on time; in fact, a few minutes earlier. He used to sit on a chair at the right end of the first row and would occupy himself with the remembrance of Allah till the start of the congregational prayer. If the number of worshippers was small, he would move his chair to the end of the row and join the prayer. Hazrat Sir Chaudhry Muhammad Zafrulla Khan r.a.